Popping in to add Believe to the mix! I feel like it's so underrated, I cried throughout this entire performance the first time I saw it The passion in it is incredible. All threads include a playlist of all performances of the respective season which we could find videos of (some vids may be down by now so @kaeryth's video compiltations threads are a better resource, actually! ), protocols, jump/goe/pcs score statistics for Yuzu and also an archive of our chats if you want to read our reactions. Sometimes there's also some extra media attached like interviews. Aside from us having fun we thought this might be a great resource for new fans who want to get to know Yuzu's skating career better! There's also a chance we might repeat these streaming parties in the off season when there's nothing to do, so watch out for that, too We're still going to do a junior streaming party I think. As for documentaries, among the must watch (pretty much each doc, tbqh ) I recommend his Spirit of the Athetes 2016 (Boston ) and the documentaries about 3.11 (sorry I don't remember the name I'll check later and edit my post). Thanks so much for all these suggestions! I'm about to watch kenji's room right now, I found the subbed videos on the forum. 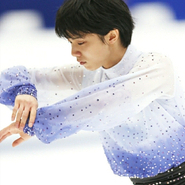 This is the one I use and IMO is the best Yuzuru playlist on YT right now. It has over 400 videos but more importantly, it's by season, starting with 2004 and then by competition, with various commentary and updated pretty regularly. You simply start and .... say bye bye to your free time for a bit! 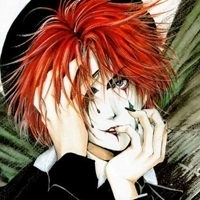 LGC. All the iterations. It's what really turned me into a Yuzu fan. Also Parisienne Walkways Sochi performance. and above all, the most perfect free skate there ever will be, Hope & Legacy from Worlds 2017. You will never, and I mean never, see a finer skating performance until Yuzu goes perfect on Origin. There are more parts to the interview but I am just posting one of them; they should all be in the same channel by yuzufairy. I'm for just about any practice video, partly because of the UA (UnderArmor) effect. 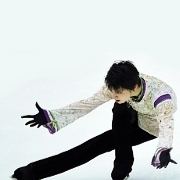 No matter how beautiful his costumes are, nothing shows off his figure/skating to better effect than clingy, solid black. Among the practice vids I particularly adore Swanyu (Notte Stellata) GPF 2016. Two items of note: 1) Zhenya (Evgenia Medvedeva) standing stock still at the end of the rink, simply watching him; 2) the gesture he makes during his bow. Sorry to be cryptic on that last bit, but I don't want to insert a spoiler. I absolutely looveBelieve, it's my favorite show-special by Yuzu ever. He's soooo into it it makes my heart happy!